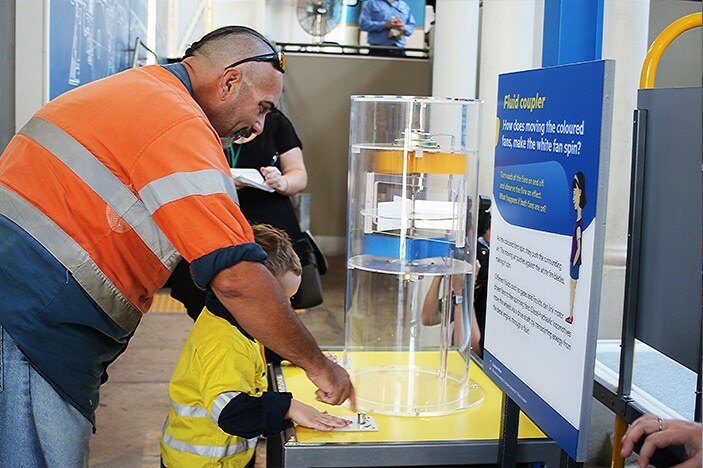 The Workshops Rail Museum has long been a popular and highly regarded landmark within the Ipswich city landscape. 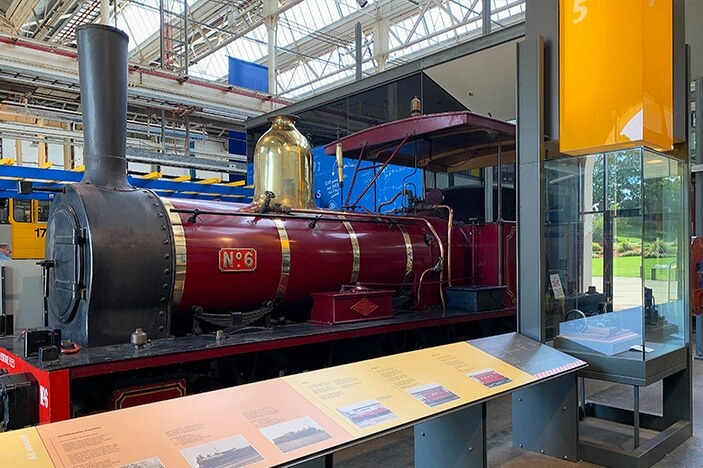 Home to an impressive gallery of some of the oldest and most inspiring collections of locomotives in the country, the museum is a wonder to behold and is guaranteed to make a train enthusiast out of anyone who visits, regardless of their age. 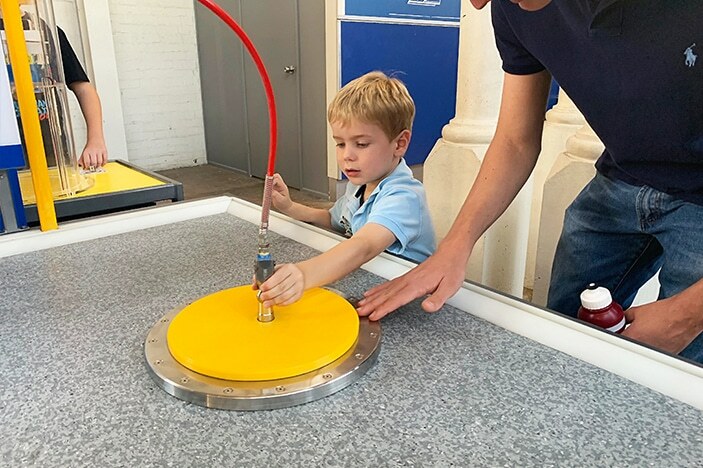 Today, the Workshops Rail Museum have taken their visitor experience one step further with the launch of Sciencentre, their brand new discovery zone which is the first permanent exhibition to be upgraded in the museum since it opened. 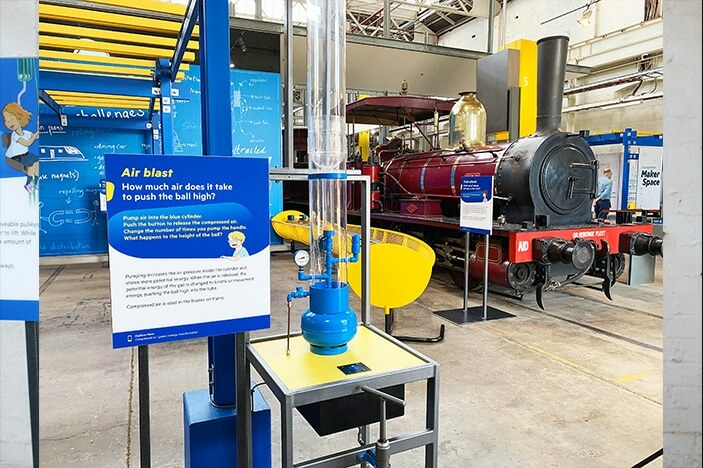 The Workshops Rail Museum’s Sciencentre is an initiative of the Queensland Museum Network and follows on from the successful introduction of similar centres at museums in Brisbane and Townsville, with a final Sciencentre due to be opened at Cobb & Co Museum in Toowoomba later this year. 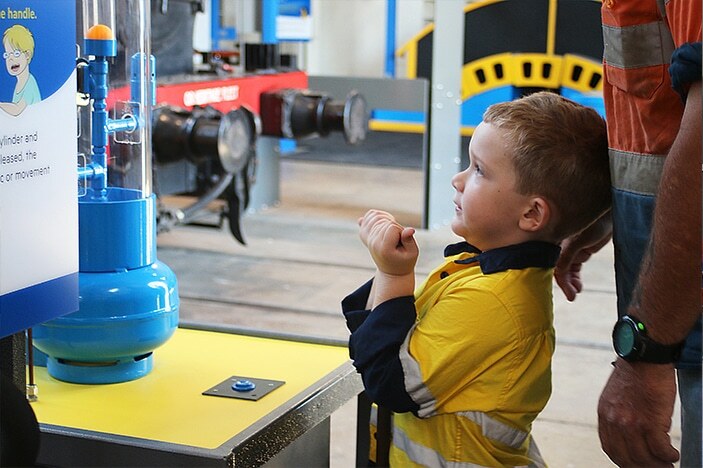 Born from a desire to inspire and educate the next generation of scientists, innovators, engineers and mathematicians within our state, the centres encourage visitors to challenge themselves, solve puzzles and apply their knowledge as they discover just how much science is a part of our lives, in so many ways, every single day. The Sciencentre can be found just off to the right as you first enter the museum’s main warehouse. 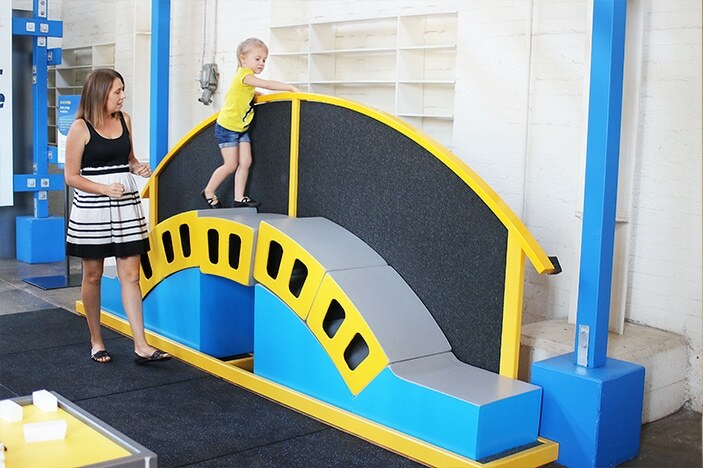 Here, in a space that took 3 months of intense planning and construction to bring to life, visitors can work their way through over 20 interactive exhibits that enable them to explore their curiosity and challenge themselves as they delve into the science behind train travel. 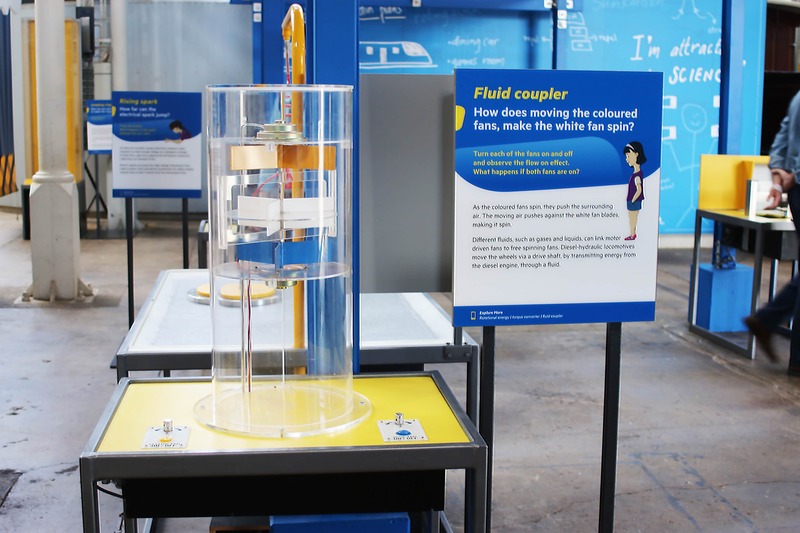 Children and adults can find the answers to a myriad of questions such as how far can an electrical spark jump, how does heat make water flow, which wheel design will stay on the track and why and how can you build a stable arch without nails or glue? Perfect for visitors of all ages, older kids will be able to learn about things like rotational and conductive energy, electric currents, magnetic fields, convection currents, air compression, kinetic energy, compression and catenary arches all with relation to trains and transport while the smallest of visitors will be spellbound by the many wonders of the interactive elements of the displays. 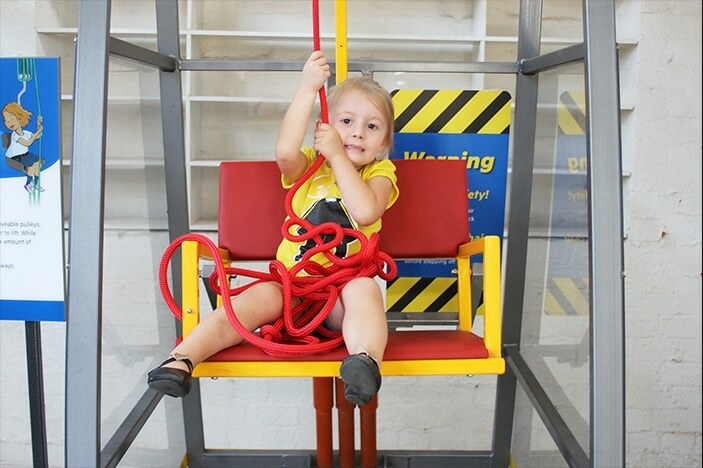 With plenty of room to move around, exhibits to build and climb upon and impressive reactions of light, sound and air at the touch of a button or a push of a lever, the Sciencentre is a hive of animated activity, its immersive and engaging exhibits providing a fun learning experience for all. It is also worth checking out the locomotive that resides at the centre of the exhibition too. Built in 1865, it is the oldest working steam locomotive in Australia and it still gets driven out of the huge custom-made doorway in front of it for certain occasions throughout the year. 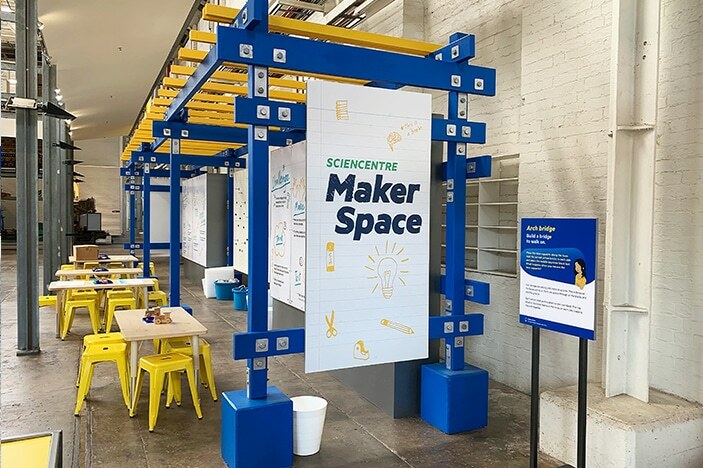 Once you have worked your way through each of the exhibits visitors are then invited to spend time in the Sciencentre’s dedicated Maker Space. 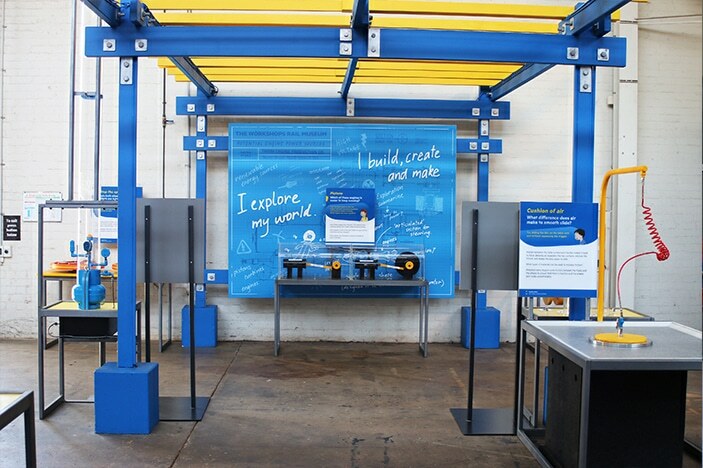 Designed to encourage creativity and problem-solving skills, in this space visitors have the chance to apply the skills and lessons they have learned into practical creations. 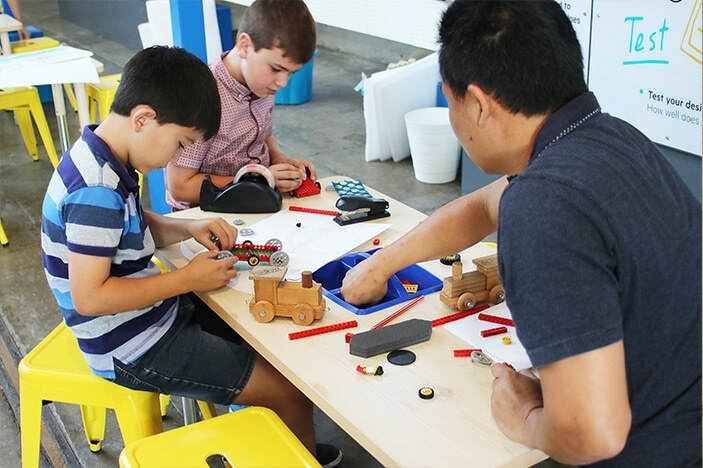 Not only discovering the how and why of science, but this creative workshop also encourages them to take it one step further, to apply what they have learnt and to find solutions to different scenarios they are presented with. 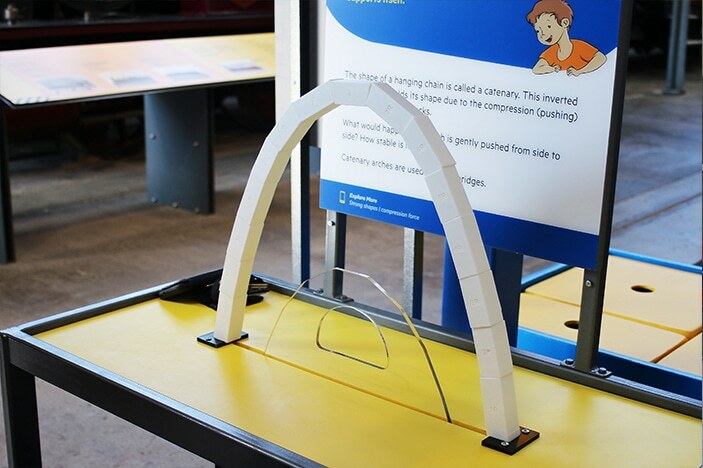 In one of the maker space workshops, visitors can each get a blue ‘river’ strip to place on the table, each of these varying in width (and difficulty). Then, using different blocks and materials supplied they can attempt to create a bridge that stands alone over the river, hopefully by calling on the knowledge and skills they have learnt from earlier exhibits. Once they have created a bridge that works they are then invited to make a car or truck at a nearby construction table to see if their bridge can take on the weight of a vehicle. 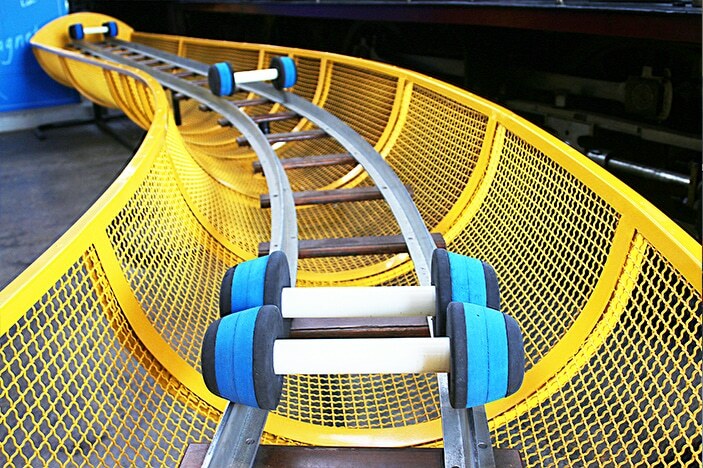 By trial and error, adjustments and re-evaluation, visitors can continue to re-engineer their design until they hopefully find success. 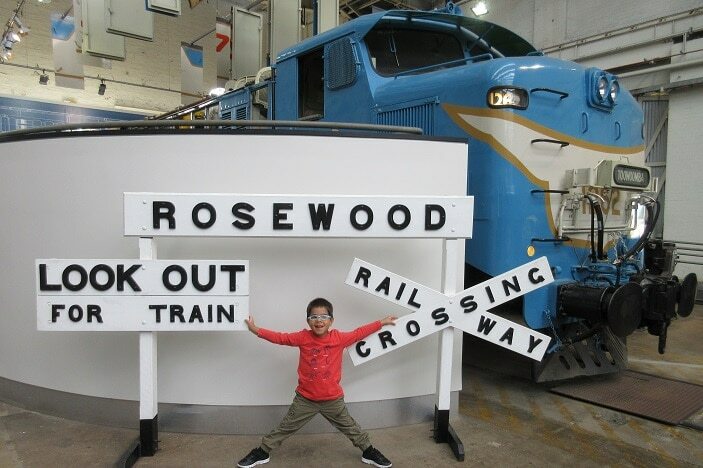 The Workshops Rail Museum has always drawn a huge crowd to its impressive collection of train collectives but the addition of the new Sciencentre space brings with it a whole new level to the overall visitor experience. 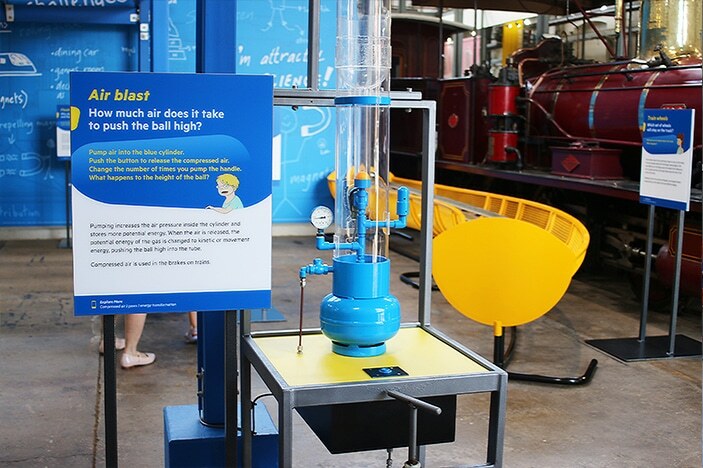 Not only are visitors able to admire the locomotives of yesteryear but they can now delve deeper into the science behind their creation and the way they work. 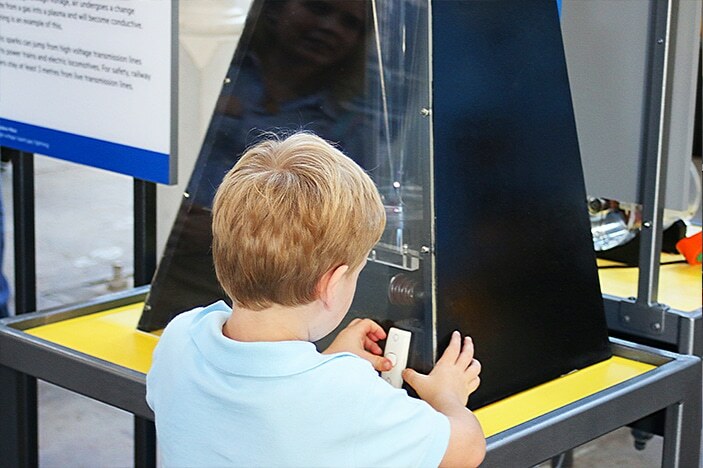 More than anything, the museum hopes that this new area will encourage young STEM enthusiasts to continue to ask questions and find answers to the way the world around them works. Tickets: Included in the price to enter the museum. For more information or to purchase tickets visit the museum website.